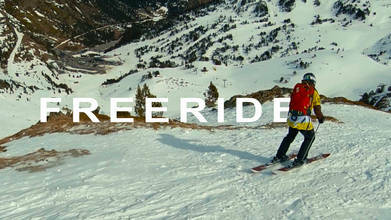 El Dorado Freeride Junior Ski & Snowboard is the only freeride competition in the Pyrenees for 14 to 18-year-olds. Having been around for two decades, it is a big part of the Freeride World Tour circuit. That team of riders combined with the epic flying capabities of Drone Video Awards Nominee vasiliz, makes for one epic and cinematic FPV video.